Many parts of the wooden house facade bears names of human face parts. This is what I have discovered in a dictionary of Russian dialects: many parts of the wooden house façade bear names of… human face parts. 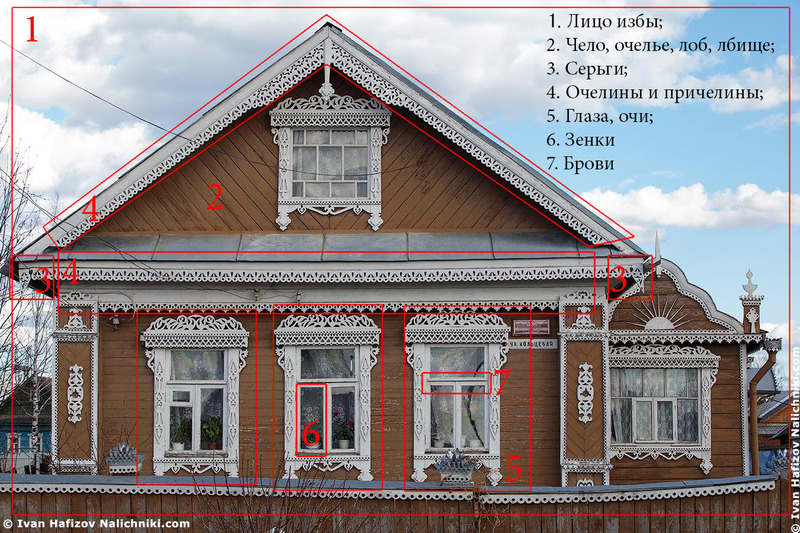 «Brow» was an upper bar of the window in Murmank Oblast and carved decorations of the façade in Karelia.